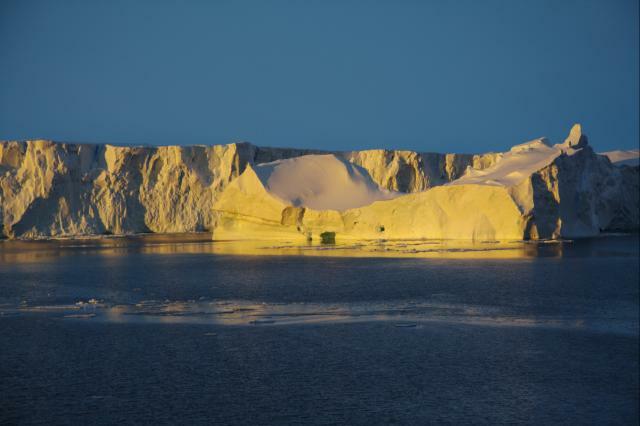 Sunset over the edge of Pine Island Ice Shelf, West Antarctica. This is the floating extention of the Pine Island Glacier, which is curently one of the fastes thinning ice streams of the West Antarctic ice streams. To study the processes and history of this glacier scientific expeditions visited this glacier in 2007 and 2009.